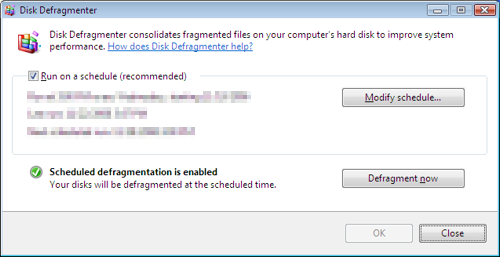 The disk defragmenter helps your computer (Mac or Windows) run more efficiently. 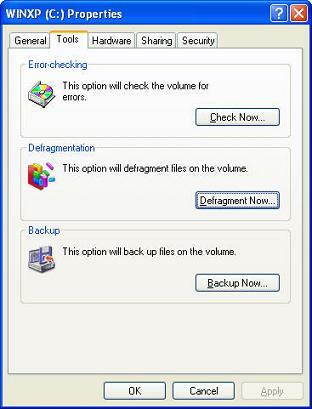 After you have removed unused files and old programs, your file system is disorganized and fragmented. Basically the files are a mess in the file cabinet and are not using the space efficiently, slowing the system down as it tries harder to access the files you need. This is the time to optimize your file system, making it run quicker and access files and this is what this program does. Find a time that you aren't using the computer. Don't do a defrag when there is a chance of a power outage (during a storm for example) unless you have a UPS backup power source. Close down as many programs as possible including things running on the right side of the taskbar, such as programs for your printer, or Dropbox, for example. 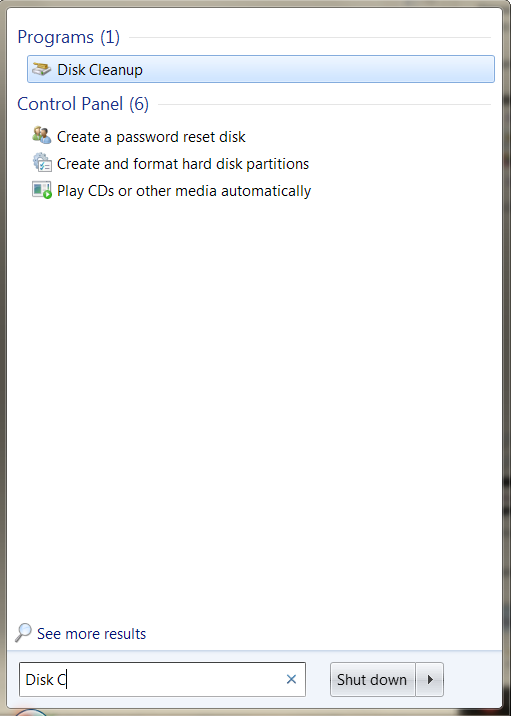 Click on the "Start Menu"
Select the folder called "Accessories"
Select the folder called "System Tools"
In Windows 7, you can schedule your computer to run a defrag regularly or do it manually. 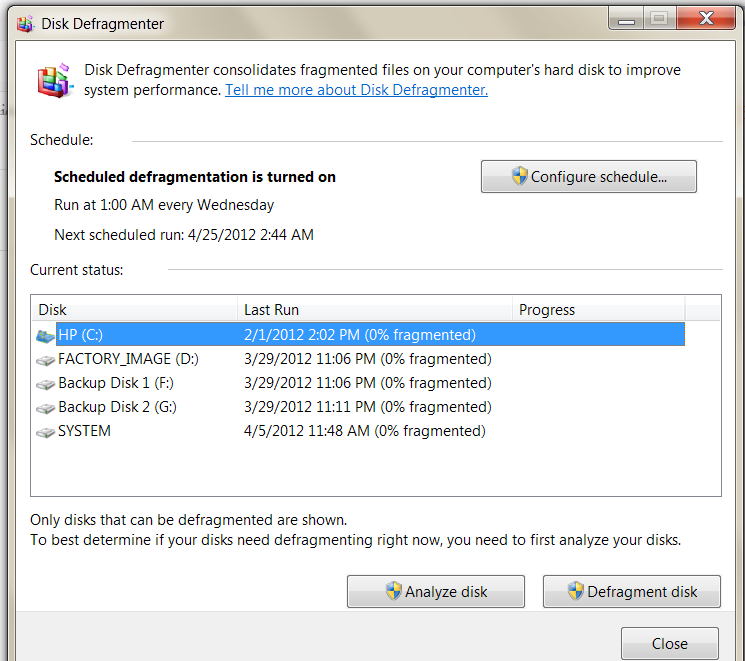 You can also see if your computer is fragmented. (See the example). 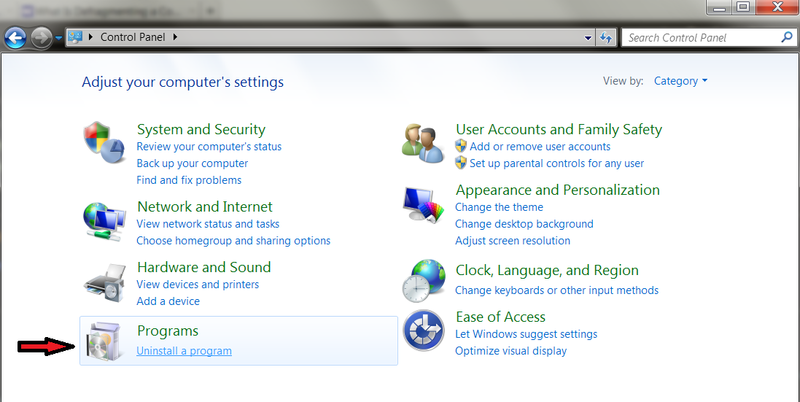 In Windows Vista, the screen looks a little different but has similar options. 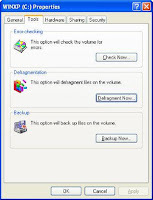 In Windows XP, the screen looks different again, but has a button for defrag. See the screen shot below. Yesterday, we removed temporary files. Today, it will be old programs. So, you haven't used that software you downloaded last year because you have something else that works better. There really isn't a reason to keep it on your computer, right? It is just cluttering your hard drive. This guide is related to the Windows 7 and Vista operating system, but it works similarly with Vista. In Windows XP it was called "Add and Remove Programs" which, alphabetically put it farther up on the Control Panel screen. 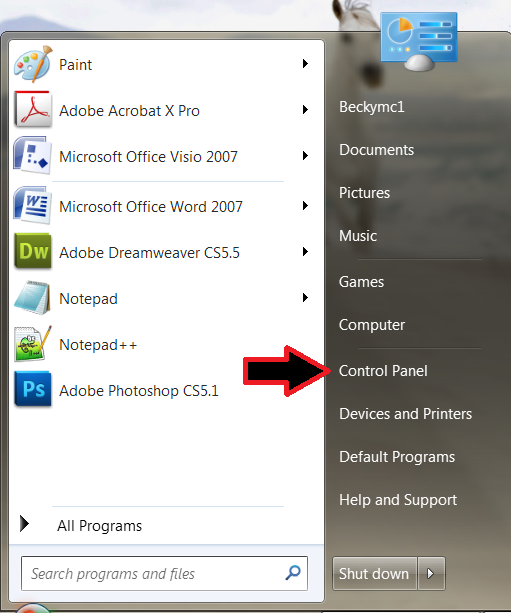 Go to your "Start Menu" and select the Control Panel on the right side. Click on "Uninstall a Program" This will let you view the programs on your computer. 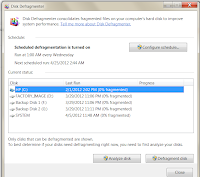 Be selective about the programs you remove as some may change the functionality of your computer, such as Java or Windows updates. That doesn't mean you shouldn't remove any programs. Remember that game you downloaded and hated? Time to remove it from the computer! Select the file you want to remove and click on the "Uninstall/Change" at the top. Follow the instructions such as if you are prompted to confirm the removal of the program, click Yes.